Many of your Airbnb guests are in fact just looking forward to a good night’s sleep. Instead of exploring the bustling nightlife that your city has to offer, some business guests are simply searching for a quiet place where they can sleep in or prepare for their early morning business meeting. So, how exactly can Airbnb hosts offer the best conditions to ensure that their guests are well rested the next morning? Luckily ensuring a great sleep experience for your guests is something that hosts can do. Here are some guidelines for choosing the right Airbnb sheets and mattress for your listing. When Should You Replace Your Airbnb Mattress? A good mattress forms the basis for a great night’s sleep (literally as well as figuratively). For starters, it is needless to say that the Airbnb mattress should be comfortable, even and without any lumps. A good rule of thumb here is that whenever your mattress is over 10 years old, it is time to replace it. 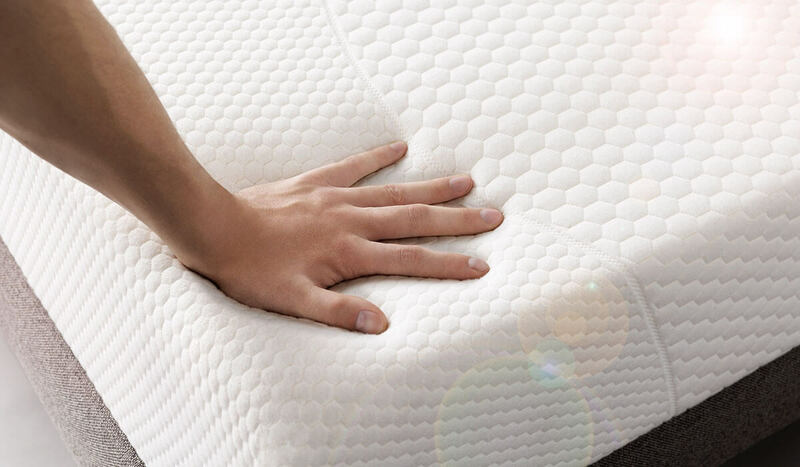 A mattress needs to be able to offer adequate support and over time any mattress will sag. Mattresses are definitely not like a bottle of good red wine – they, unfortunately, do not improve with age! In addition to being able to provide enough support, the Airbnb mattress that your guests will sleep on should not have any “other guests” already… So, if you find that you wake up in the morning with the sniffles, there is no need to sniff around any further than the Airbnb mattress as it could be a sign that your mattress is too dirty and need to be replaced. Though, the best indication that you need a new Airbnb mattress you will find by analyzing your reviews. When more than one guest has mentioned that they were up till dawn tossing and turning instead of exploring the city, do yourself a favor and replace your Airbnb mattress as soon as possible. Still, do not believe the bad reviews? Well, another great way to find out if your Airbnb mattress is still right for your listing is to overnight at your place for at least one night. This exercise might sound silly, but it is one of the best ways to get a better understanding of how your guests will experience your Airbnb. In short, if you will not sleep on the mattress, then your guests definitely should not have to either. Hosts will be glad to know that they can get a good mattress without it costing an arm and a leg. In fact, there are really good mattresses that will only cost you a few hundred dollars. Ultimately you are looking for quality and not quantity. So, it is better to get a great queen-sized mattress than a lower quality king-sized one. Also, Goldilocks was on to something… When it comes to the firmness of the mattress, you want to find something that is not too firm, yet not too soft. So, opt for a mattress that the majority of your guests will enjoy and it will be just right. However, if there is too much month at the end of your paycheck and you simply cannot afford to buy a new mattress anytime soon, there is another solution. You can get a mattress topper to place on top of your current mattress which will add just an additional layer of comfort. Investing in high-quality sheets and pillows is just as important as your Airbnb sheets are must-have items for your Airbnb listing. In fact, it will set the tone for the rest of your guests’ stay. Unlike your mattress, the bed sheets and pillows need to be replaced a lot sooner. Better quality pillows should be replaced about every three years, while pillows that are less expensive should be replaced every six months. So, when you are shopping around for Airbnb sheets, pay attention to the quality of cotton. Ideally, you want 100% Egyptian cotton, but this is the most expensive option. Thanks to its long, thin fibers that guarantee a soft, smooth feel, your guests will not want to leave the bed at all. If you are opting to use your own sheets for your Airbnb listing make sure that they have no stains, tears or rips whatsoever. Though, if you are going this route remember that you will have to double-check that you have at least two to three sets of Airbnb sheets per bed in case of emergency or those stressful days where guests are checking in and out on the same day. At the end of the day, when you go shopping for mattresses and linen, you should let your nightly rate guide you too. 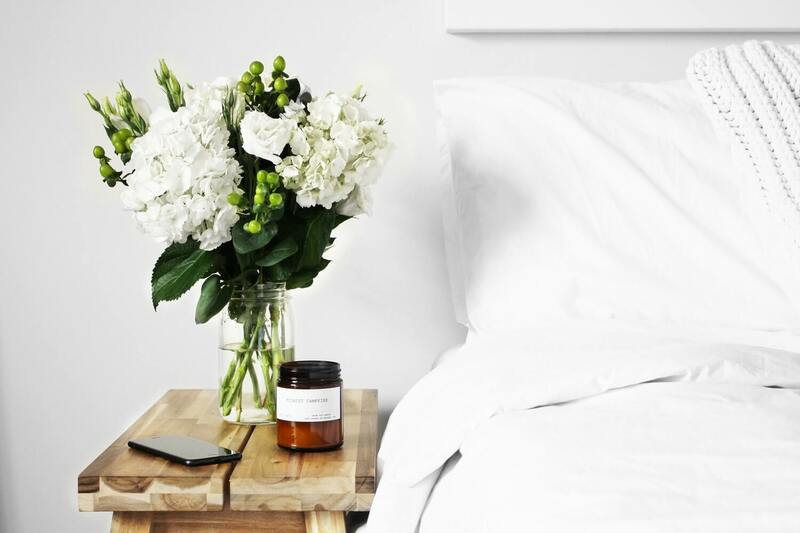 If you are asking a couple hundred dollars per night for your Airbnb listing, then you have no other choice but to invest in luxurious high-quality linen and a premium mattress. Be prepared to make your guests’ sleeping experience as comfortable as possible if you want to get as many 5-star reviews as you can.